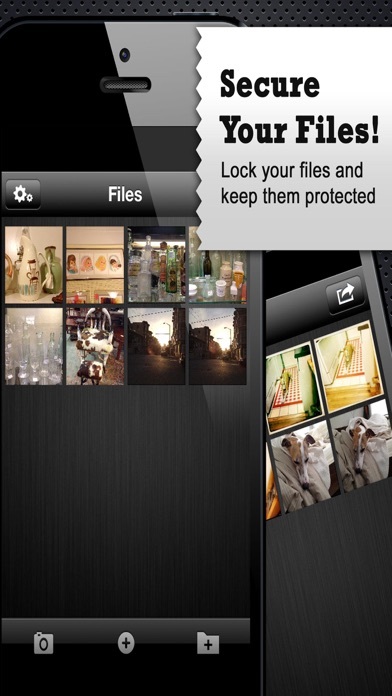 **Please remember to allow the app permission to access photo library to function correctly** Privacy Pro allows you to store your iPod & iPhone photos and videos privately and safely using a security lock code of your choice, you can create folders within the app to organise your photographs and video files, and keep them safe and private for your viewing only. Featuring a clear and easy to navigate interface, why not see if Privacy Pro can become part of your essential app collection! 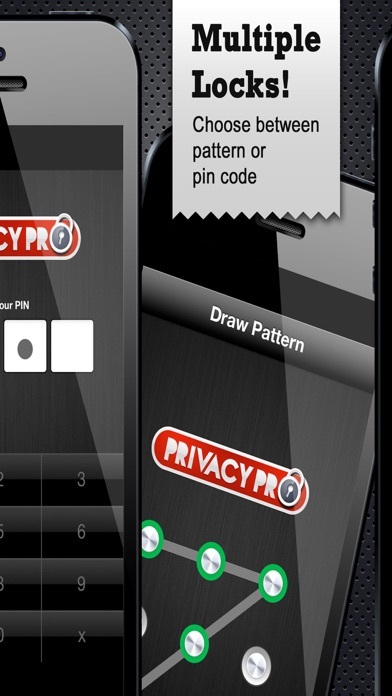 How to use; When the app is launched for the first time it will not ask for any PIN code or Pattern Code You can choose a pin code or pattern code You can then see the options 1: Click on Reset PIN Code to set the pin code 2: Click on Reset Pattern Code to draw the pattern code, user has to draw the pattern code twice to save the pattern code. 3: Choose of type of security i.e. PIN code or Pattern code at application start up. 4: You can add photos or videos from Camera Roll or Library by clicking “Camera” Button or “Plus” button at Tab Bar in the bottom of the app. There is an option to add Folder in order to further organize the files within organized folders. Tap Folder Button at bottom of the screen to add the folder. You can perform different actions related to files and folders like moving the files and folders, deleting the files or folders and Exporting the Files to Library. In order to turn on these features you need to enter Edit Mode. 1: Enter Edit mode by clicking Arrow button on right corner of the app. 2: Once you are in Edit mode click on the file once you see a check icon you can move the files to other folders, delete the files or import the files to Library. Additional Features 1: Click on a file to view file in large view, you can exit the full view by clicking exit button. 2: You can play videos by clicking a file with small arrow. Keeps shutting down when I try to view or upload pictures. Do not purchase! I paid for this assuming that if you use one that is free you won't get quality. This app will take your photos and video and there is no way to get them out again. You are stuck in the app. And there is zero support. No way to contact them and no info about the app. I found a free app with tons more features and functionality. Live and learn. I lost a few files I really did not want to lose though.